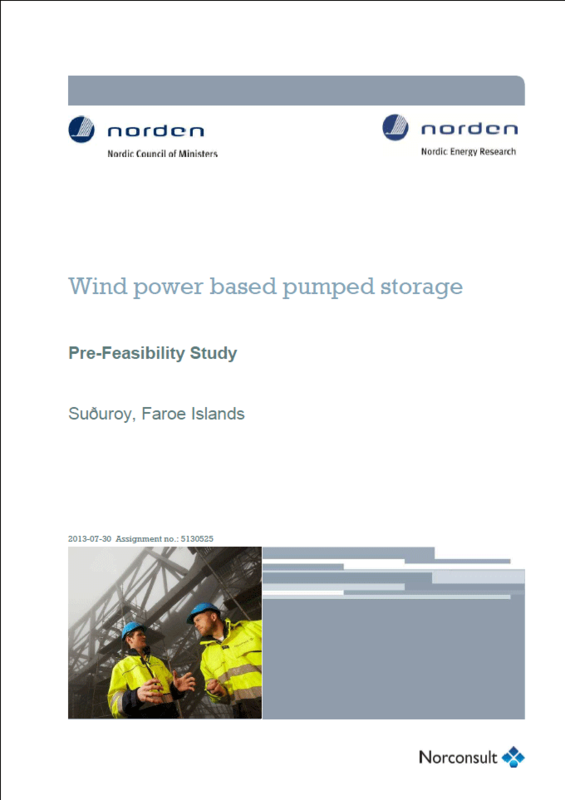 The study outlines a pumped storage scheme on the island including waterways and power station with pumps, turbines and related equipment. The idea is to utilise periods of surplus wind power (e.g. during night time) for pumping of water between reservoirs and to produce hydropower to enhance the power system during periods of higher power demand (e.g. during daytime).